Here is the continuation of the previous episode. This time we are talking about our thoughts of the spring anime season for 2011. I don’t know why I decided to break this up into two episode. Oh well. Yeah, I hope you heard the previous episode otherwise you won’t know who is on this episode. Here is the list we used. I want to mention something while I am here. News broke out not long ago that there is going to be a new Gundam series. Obviously, I was excited to hear the news but then recently one more important factor, Level-5 will be in charge of making this series. My body was not ready for that news. 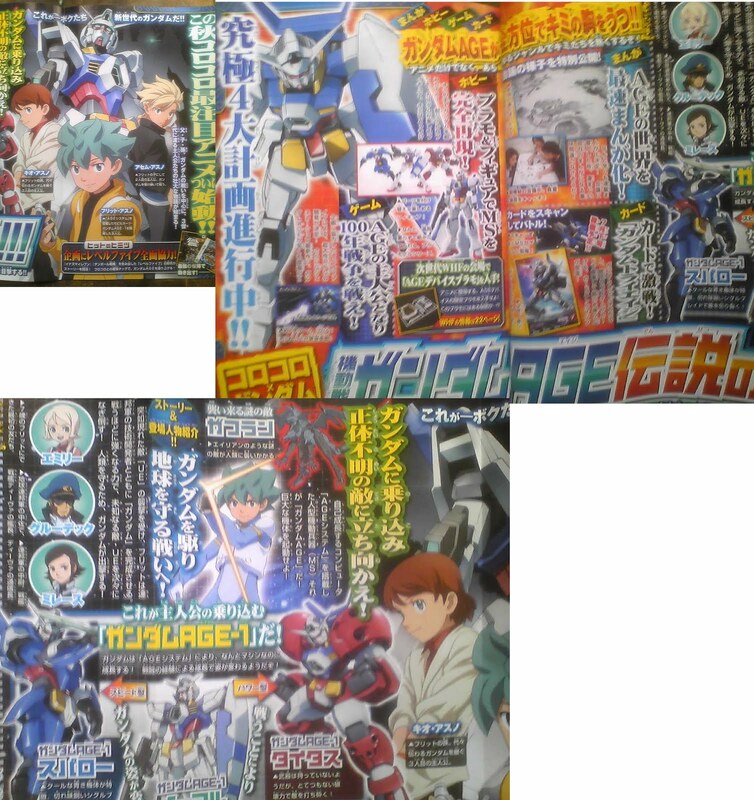 Scans have surfaced showing the character and mecha designs of the series now being called Gundam AGE. The actual concept for the series is actually very interesting. The story is suppose to be told through the prospective of the main character, his son and his descendant where they are fighting some sort of unknown enemy to save the Earth in a “One Hundred Year War.” The titular mobile suit is meant to be passed down through the generation as it slowly evolves. I am all in. The general reaction of the series seems to be very negative. Trust me, Gundam fans are crazy and this was to be expected. Just looking at the character designs was enough to send people shouting from the mountain tops saying this will be end of Gundam. Aside from that, Level-5, besides being the people who make the Professor Layton games, is fairly unknown to the general public. I blame all of this due to no one watching Inazuma Eleven. As I am typing this, I am slowly marathoning through the entire show, which is 127 episodes. As we stress in this episode, this show never stops being ridiculous. Here is just a taste of the show. I want to stress that this the least ridiculous thing you will see in this show. Yes, that just happened. The most shocking thing that came out of that match was that the girl that froze time is actually a boy. Now, let’s see what happens when Level-5 does a show about robots. Here is some footage from the PSP game. I want this PSP game. Long story short (too late), don’t worry people. Wait until the show is out before you complain. If we watched the other episodes of the World God Only Knows Season 2 Doctor we would have known that they did use the illegitimate child joke again for the other girl.